Real Madrid could consider offering James Rodriguez as a makeweight in any deal to sign Christian Eriksen from Tottenham Hotspur next summer. Eriksen will enter the final year of his contract at Tottenham next summer and is yet to commit to a new long-term deal, despite talks between his representatives and Spurs. Tottenham are sweating over holding on to the Dane at the end of the season and Real Madrid are interested in taking him to the Spanish capital next summer. 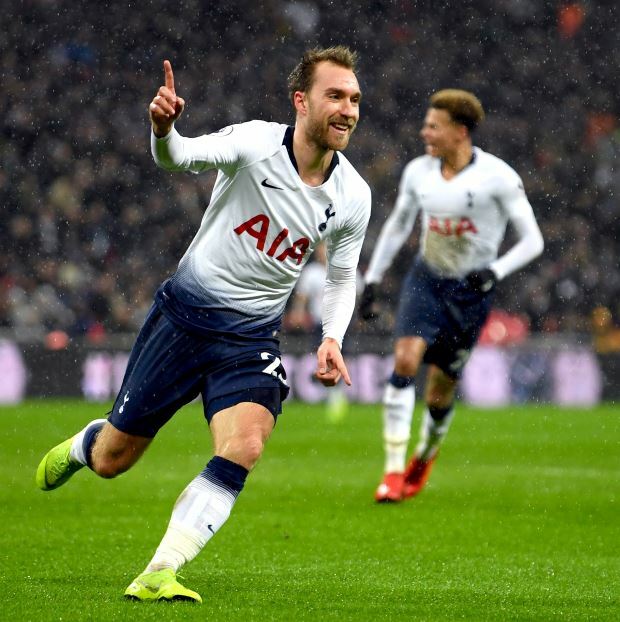 Daniel Levy has slapped a massive price tag on Eriksen, but it has been claimed Real Madrid are considering their options to lower the price for the creative midfielder. And according to Spanish sports daily AS, the club could offer Rodriguez to Tottenham as part of a deal and look to bring down the price for Eriksen. The Colombian has on a loan deal at Bayern Munich since 2017, but has struggled with injuries this season in Bavaria. There are no assurances whether Bayern Munich will take up the option to sign him on a permanent deal at the end of the season. If Rodriguez returns to Real Madrid, the club plan to use him as a pawn to lure Tottenham into selling Eriksen.